Your reps need to be ready for every selling situation. But studies have shown that reps waste 40% of their time just looking for the right content to use. It’s a problem that a lot of people are talking about – but the solution seems to vary. 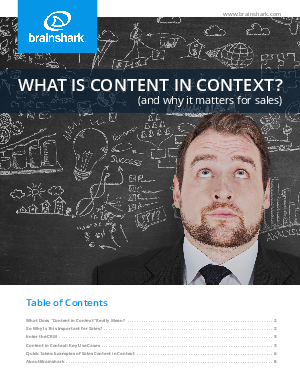 Download your free copy today to learn about how sales enablement technology can make it easier for reps to find the right content for every selling situation.